The Open Society Justice Initiative, part of the Open Society Foundations, uses law to protect and empower people around the world. Through litigation, advocacy, research, and technical assistance, the Justice Initiative promotes human rights and builds legal capacity for open societies. The Justice Initiative fosters accountability for international crimes, combats racial discrimination and statelessness, supports criminal justice reform and accountability for atrocity crimes, addresses abuses related to national security and counterterrorism, expands freedom of information and expression, and stems corruption linked to the exploitation of natural resources. The Open Society Justice Initiative (the Justice Initiative) is pleased to invite applications for its 2017-2018 Aryeh Neier Fellowship Program, a two-year program of practical work experience designed to expand the capacity of lawyers and advocates working internationally on human rights issues by embedding them as an integral part of the Justice Initiative. The purpose of the fellowship is to give successful applicants practical experience in human rights lawyering in a broad range of thematic areas, while providing support to the work of the Justice Initiative. In 2017, up to three fellowships will be awarded. • Conducting research on a broad range of justice-related issues. • Drafting and writing, including reports, legal briefs, memos, advocacy documents, blogs, and training materials. • Monitoring trials and other legal proceedings, as well as legal, jurisprudential, legislative and governance developments internationally. • Liaising with other NGOs and justice advocates, including staff of supranational institutions and international and domestic courts and tribunals, and government officials. • Attending (and potentially participating in) meetings of UN or regional bodies related to justice, human rights, and rule of law issues of concern to the Justice Initiative. • Helping to organize and attending meetings and conferences with civil society partners, and other stakeholders. • Gathering information and liaising with other OSF programs and foundations. • Helping to develop and execute evidence-based advocacy strategies. • Other responsibilities as may be required according to each placement. • Strong commitment to human rights. • A university degree in Law or an LL.M. or M.A. 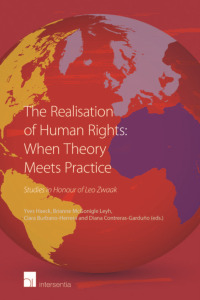 in Human Rights; graduate degrees in related fields (e.g. economics, politics, statistics) may be considered in exceptional cases from candidates with substantial human rights work experience and a demonstrated capacity to work on legal issues. • 0-5 years of experience in the human rights field. • A demonstrated record of accomplishment in undertaking legal research, writing, litigation, and/or advocacy. • High degree of proficiency in English. • Good research, legal analysis, and drafting skills. • Willingness to gain exposure to geographies and human rights topics and tools that may currently be unfamiliar to them, as proposed by the Justice Initiative. • Willingness to take initiative and ability to work both individually and in teams. • Organization skills and attention to detail. • Knowledge of French, Spanish, Portuguese, Arabic, or other languages is an asset. Accountability, Liberty & Transparency, focusing on grand corruption, national security and human rights, and freedom of information and expression. Criminal Justice, focusing on accountability for grave crimes in both national and international systems and the implementation of criminal justice reforms to improve pre-trial justice practices, including more humane and rational use of pre-trial detention, improved access to legal aid and other defense rights, prevention of and accountability for torture, and rights-based prosecutorial and police practices. Equality & Inclusion, focusing on discrimination, the right to citizenship, and the development and implementation of regional regimes of free movement (e.g., the EU, ECOWAS, MERCOSUR). 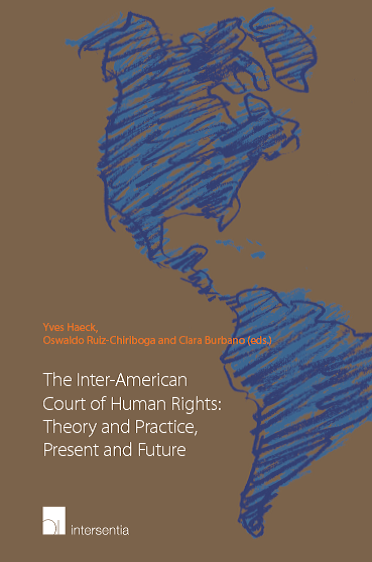 Rule of Law, focusing on (but not limited to) work to strengthen regional and sub-regional human rights institutions and UN bodies, implementation of rights-based judgments issued by courts and quasi-judicial bodies, legal remedies for economic injustice, community-based justice services, and legal advocacy at human rights regional and global institutions. Advocacy identifies the moments and mechanisms wherein the Justice Initiative can achieve its strategic objectives, works in project teams to identify desired outcomes, and develops and implements appropriate advocacy strategies for achieving them. The Aryeh Neier fellows will support the advocacy team by drafting formal submissions, planning events and conferences, attending hearings, developing internal communications materials, and researching and monitoring developments in the Justice Initiative’s fields of work. Legal Empowerment is pursued both as a process and a result, and applies a range of tools to enable marginalized and neglected people to have the knowledge and agency to make the law work in their interests, achieve meaningful solutions to concrete injustices, change their own lives and societies, improve their livelihoods, and hold authorities to account. The Aryeh Neier fellows will participate in legal empowerment research and in bring legal empowerment models and approaches across the range of the Justice Initiative’s thematic activities. Strategic litigation, pursuing cases in the broader public interest that will make an impact beyond the individual victim, and combines these legal cases with other program activities as a method to effect social change. The Aryeh Neier fellows will support the litigation team by researching legal issues that arise across the breadth of the Justice Initiative’s litigation, become involved in specific cases, assist in the development of new areas of litigation and review of key developments in existing fields, and develop materials for internal continuing legal education and external events. Research, to develop evidence and/or fact patterns for litigation, legal argumentation, advocacy, professional development, and field-building. Aryeh Neier fellows will engage in desk research and primary research (whenever possible, field-based) as an integral part of the Justice Initiative’s project operations and its litigation, legal empowerment and advocacy efforts. Fellows will help produce internal mappings and analysis and published materials, benefiting from legal and social-science disciplines and the cutting-edge research techniques emerging from the human rights movement. The selected fellows will be based full-time in one of the Justice Initiative’s hub offices in Budapest, London, or New York for both years. In order to ensure a rich and varied experience during these two years, fellows will be assigned to different teams for approximately 8-months on a rotational basis. Placement will be decided according to the needs of the Justice Initiative, taking account of the interests and preferences of the fellow. Some travel is required for internal meetings; substantive travel is at the discretion of supervisors. The Justice Initiative provides a competitive financial and benefits package for the duration of the fellowship. Mentorships and other forms of professional development are also available. • the proposed theme(s) in which the applicant is interested. • reasons for his/her interest in that particular area. • how s/he intends to contribute to the chosen field. • any ideas for specific approaches that can be applied for the work, preferably in the selected themes. • ranking of their preferences for being based in Budapest, London or New York. 3. Names and contact details of two referees. Only shortlisted candidates will be contacted for interviews and writing exercises. The final selection decisions will be announced by the first week of July, with successful applicants beginning their fellowship in January 2017. For any additional information about the application process and the program itself, please contact: Akin.Martins@opensocietyfoundations.org. Announcement on the Open Society Foundations website.